The Dirty Runner Film Society is a new community presented by Trails in Motion, the world’s premier trail running film tour. 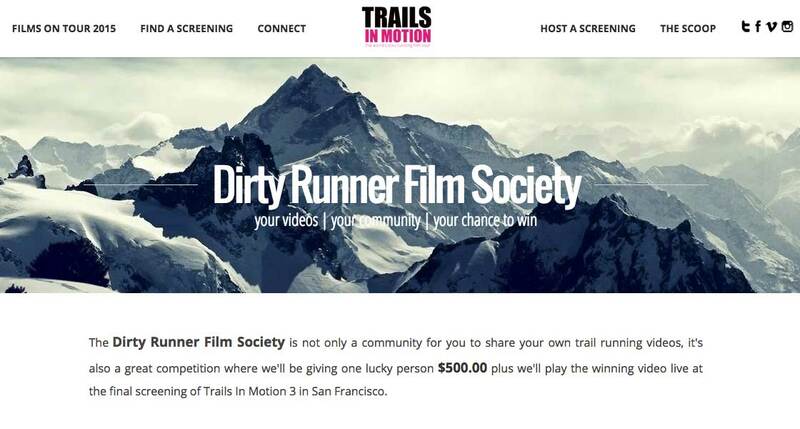 Runners and filmmakers are invited to share their own trail running videos for a chance to win $500.00 and to see their video at the final screening of Trails in Motion 3 in San Francisco. I’m proud to have been asked to join The African Attachment‘s Dean Leslie (Salomon Running TV, The Beauty of the Irrational), and JourneyFilm‘s JB Benna (Unbreakable, The Runner) as a judge for contest. Dirty Runner Film Society Promo from Trails In Motion on Vimeo.